(Newport, Oregon) – Newport’s Yaquina Bay will get festive in a particularly spectacular way in early December as about a few dozen boats take to the water gussied up in a variety of lights – all for the charity event known as the 13th Annual Lighted Boat Parade. On December 2, from 5 p.m. to 6 p.m., a sizable fleet of local lighted boats make a large loop around the bay, from the Coast Guard Station to Embarcadero and back, showing off a variety of colorful designs. Onlookers can actually in the middle of it all and ride aboard one of several passenger-licensed craft during the event. 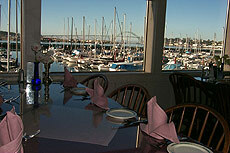 Marine Discovery Tours, Newport Tradewinds, Sea Gull Charters and Yaquina Bay Charters will offer rides. Tickets are $25 for adults, $10 for children (4-13), while three years old and under ride free. Tickets can be purchased by calling 265-6200, or by visiting Anchor Pier on the Bayfront by 3 p.m. on Saturday, December 2. Space is based on availability. Watchers line the docks and fill the restaurants and shops on the historic Bayfront to watch the glowing display, although you won’t find parking or overcrowding a problem, because this time of year isn’t as jam packed as the summer season. It’s the right mix of energetic, holiday frivolity and easy access for the visitor. 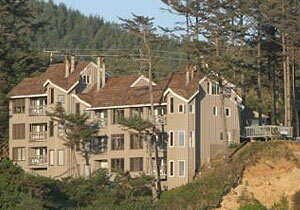 D Sands Condominium Motel, Lincoln City. Fresh baked cookie upon check-in is just the beginning. All rooms beachfront. 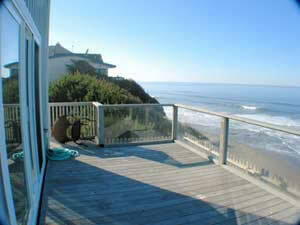 Each comes as a suite or mini-suite, and has a kitchen and balcony or patio. 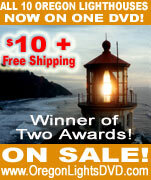 Some w/ gas fireplaces, while all have a DVD Players; movie rentals come with free popcorn. Heated indoor pool, a spa, and this fabulous beach is lit at night. Rooms sleep two, four to six - including a deluxe fireplace suite. Gift certificates are available, and they offer special occasion packages as well. ww.dsandsmotel.com. 171 S.W. Highway 101. 800-527-3925. 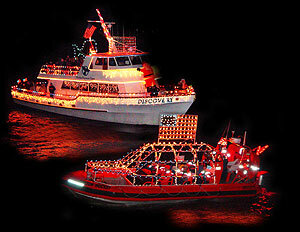 Mathews said boats in the parade have run with as few as one perfectly positioned strand of lights to thousands of lights on the larger vessels. Newport is home to the largest fishing fleet in Oregon and the boat parade will feature a variety of watercraft, including charter boats, fishing boats, sail boats and even sea kayaks. Mathews said this event is different because while many similar festivities contain mostly private pleasure craft, this one includes many working fishing boats. Then there is the charity aspect of the event. The boat companies, in turn, donate ticket sales to the Festival of Trees event, put on by Samaritan Pacific Communities Hospital Foundation. This year, the parade has a popular feature for local boaters: a decorating competition. All mariners in Lincoln County are invited to enter and win a variety of prizes. Oregon Coast Bank and Yaquina Bay Communications are co-sponsoring the festival, which has other members of the local business community responding with generous donations. The grand prize will be a hunting rifle, sponsored by Oregon Coast Bank. 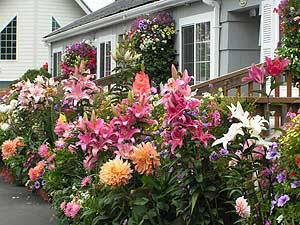 Other prizes include deluxe lodging, dining packages, marine hardware and gifts from the community. Prizes will be awarded to the boats following the event. “This is a fun way to launch this festive season of fundraising, joined together by people from all over the coastal community while we showcase our beautiful boats and Bayfront neighborhood,” said Fran Mathews. For information on entering the boat-decorating contest or to reserve passenger tickets, call Marine Discovery Tours at (541) 265-6200 or visit their office at Anchor Pier, 345 SW Bay Boulevard - on Newport’s Historic Bayfront. 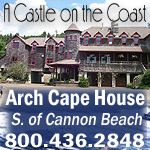 Call the Newport Chamber of Commerce at 1-800-262-7844 or visit www.DiscoverNewport.com for more information or to request a free Destination Newport Passport and a list of participating businesses. The passport may be presented to participating Newport attractions for discounts and special offers at restaurants, shops, hotels, attractions, tours and more.